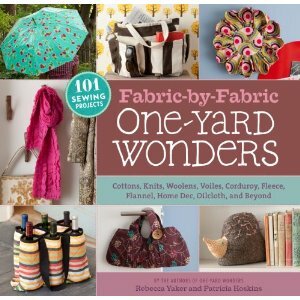 Make sure you check out the One Yard Wonders website as well as the rest of the blog tour sites! Thank you Keri!! So excited!!! Hi how fun to see how other bloggers are doing their giveaways! I wanted to post here that my blog post about this book - with a giveaway - is actually today, not in January! Feel bad that they didn't get me in on the actual list, but oh well.